What is a wood cabin? Happy holidays to you and yours! Just a reminder that Streamline will be closed for the holidays after Dec. 21st, returning Wednesday, Jan. 2nd. Thanks for another great year! 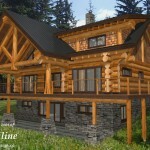 Video tour – Elegant hand-crafted dovetail log home with antiqued timbers and stunning details. Wishing You a Happy Holiday and a Prosperous New Year! 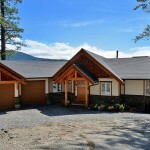 When do I need a Log and/or timber frame designer?